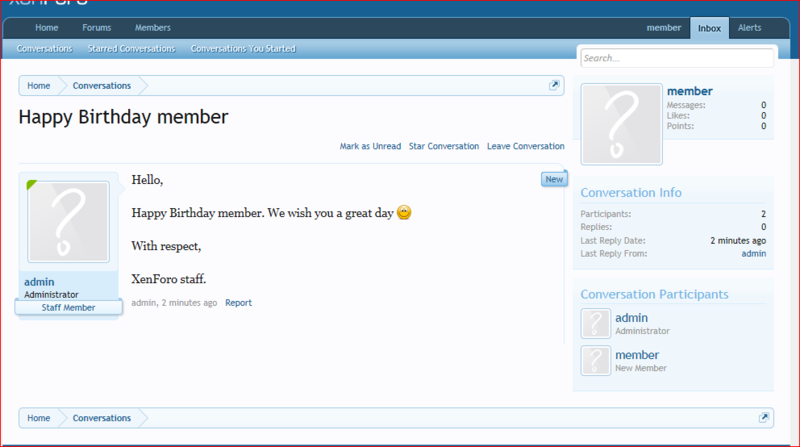 This add-on is designed to congratulate your users on their birthdays in by way of a cron which will run each day on midnight. 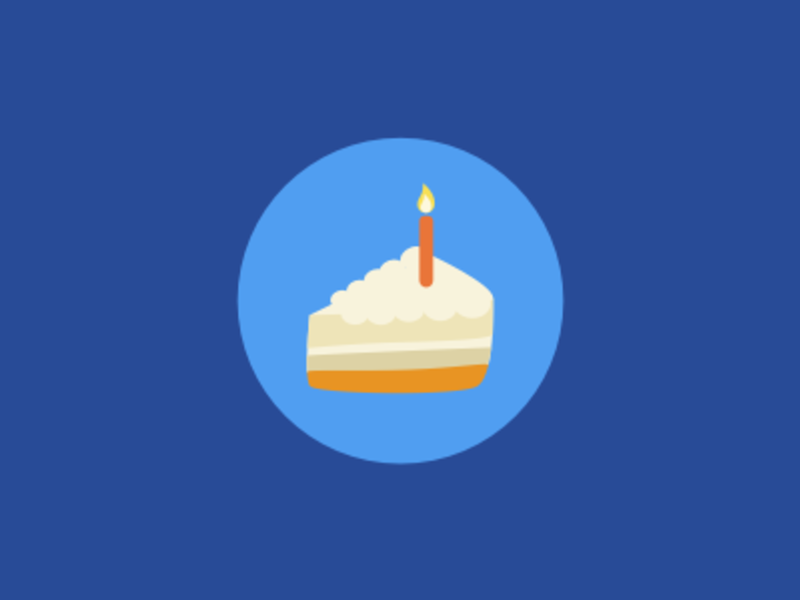 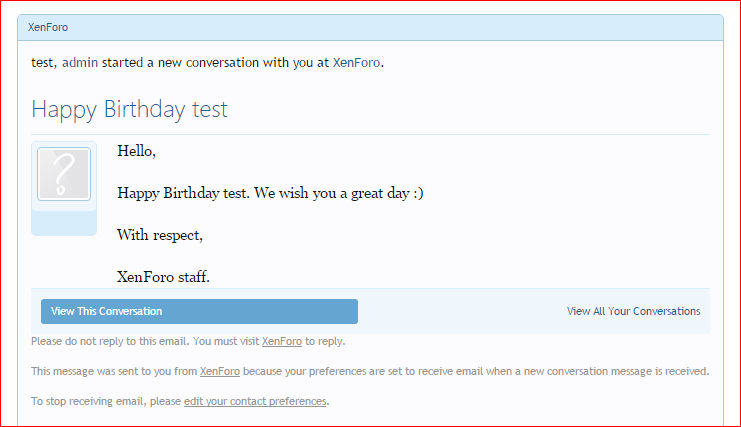 The various methods of congratulations are creating threads, which will list all users that have their birthday, sending them a private message, posting a message on their profiles and emailing them. 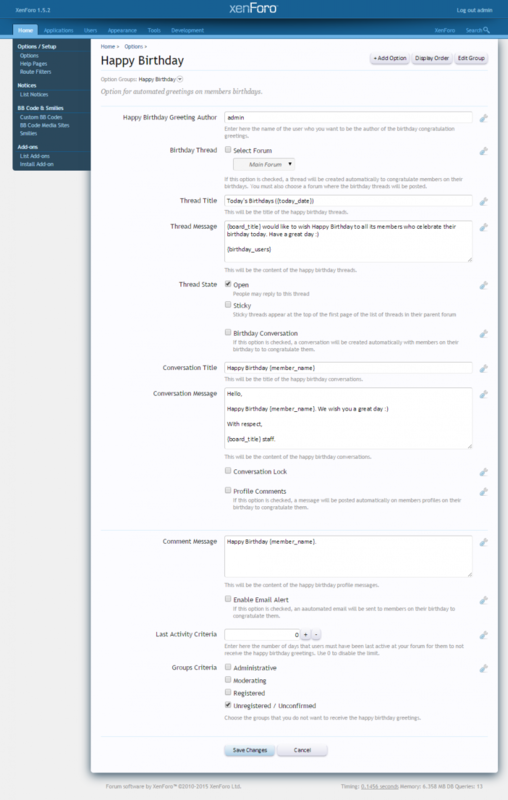 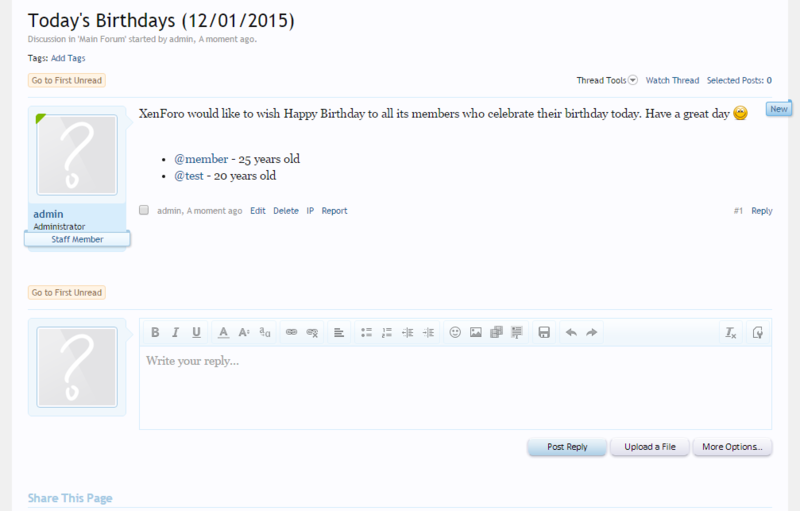 You can use all the tags of the Rich Text Editor for the birthday threads and private messages. 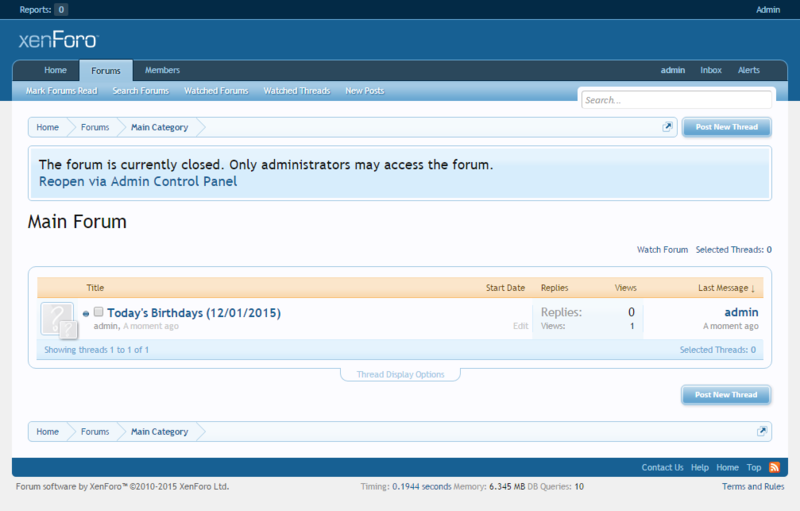 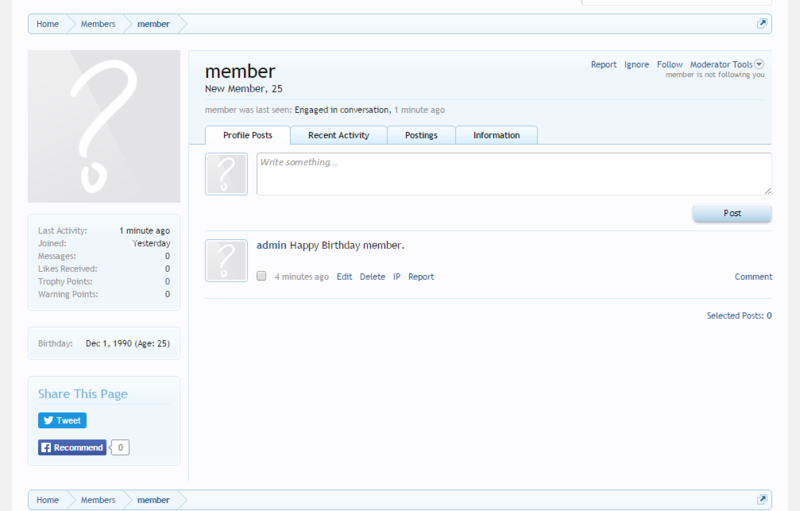 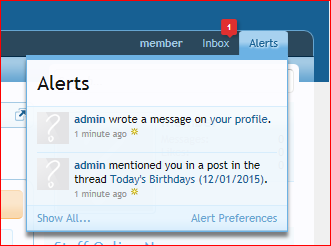 Users will be taggeg automatically in birthday threads and they will receive an alert that they have been mentioned in the birthday thread so they can be aware of it.